Accounting regulators are scared of cracking down on laundering, writes Prem Sikka. Almost twenty years ago, I co-authored a monograph titled “The Accountants’ Laundromat” which explained how accountants and accountancy firms launder illicit financial flows. The shell companies formed in the UK and elsewhere facilitated secrecy and were central to the case. They did not trade but large amounts of money passed through their bank accounts. Despite the strong court judgement and an accompanying adjournment debate in the House of Commons, the police, regulators, government departments, accountancy trade associations, the Attorney General and the Prime Minister all declined to investigate the named accountancy firm, its partners and other accountants. They deemed it to be a matter for someone else. Since then, the obfuscation and buck-passing has continued in the sector – and the scale of money laundering has increased across the UK. Twenty years later, the scale of global money laundering is estimated to have risen from $500bn to $2tn (£1.5tn). Last month, the House of Commons Treasury Committee reported that the “scale of money laundering impacting the UK annually could be in the hundreds of billions of pounds” and the much touted £90 billion figure was “a conservative estimate”. The illicit flows are used to fund drug trafficking, human trafficking, gangsters, theft and much more. Dirty money has piled into arts, property and stock market to inflate prices and deprive many people the opportunity to get on the housing ladder. The UK has had little success in curbing money laundering. One of the reasons is a poor regulatory system. The UK has around 25 separate regulators dealing with money laundering. These include the Financial Conduct Authority, HMRC, the Gambling Commission and the 22 accountancy and legal trade associations. They excel at buck-passing, use different benchmarks, priorities and interpretations of law and related guidance. Turning accountancy and law trade associations into regulators is the height of folly: they have no independence from their members and conflicts of interests are inevitable. That folly is compounded by the exclusion of 22 accountancy and legal bodies from the application of the Freedom of Information law, which would enable citizens to ask questions about their inertia. Rather than clearing the mess, in January 2018, the government created the Office for Professional Body Anti-Money Laundering Supervision (OPBAS) to supervise the 22 bodies. This did not add any urgency or teeth to the regulatory process. Despite a plethora of form-filling and regulators, the UK has had little success in curbing money laundering. 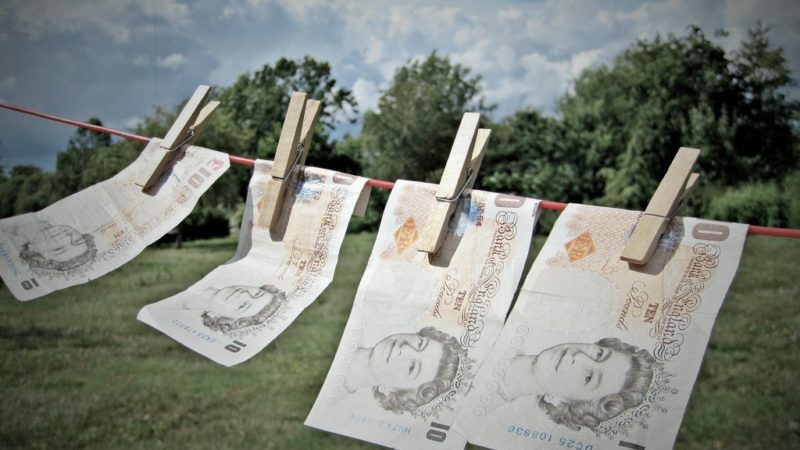 Transparency International examined 52 cases of global corruption and noted that some 766 UK-registered companies were involved in laundering stolen money. Indeed, UK-based companies and partnerships remain central to global flow of dirty money. The finger is firmly pointed at accountants, as they have the necessary know-how to create complex structures and conceal the trail of dirty money. “Accountancy services have also been exploited to provide a veneer of legitimacy to falsified accounts or documents used to conceal the source of funds”. It adds that “Some of those accountants involved in money laundering cases are assessed to be complicit or wilfully blind to money laundering risks”. The report says that “law enforcement agencies have observed accountants reviewing and signing off accounts for businesses engaged in criminality, thereby facilitating the laundering of the proceeds”. The report provides case studies to show that accountants supervised by professional bodies are engaged in money laundering. “The accountancy sector and many smaller professional bodies focus more on representing their members rather than robustly supervising standards. “Partly [that’s] because they don’t believe – or don’t want to believe – that there is any money laundering in their sector [and] partly because they believe that their memberships will walk if they come under scrutiny. The fight against money laundering requires action on many fronts. It also requires a redesign of the regulatory architecture. In line with our recommendations to the Labour Party, the House of Commons Treasury Committee has now recommended the need to consolidate the numerous regulators into a single publicly accountable body. Our report makes it clear that in view of their dismal failures, all statutory regulatory powers need to be removed accountancy trade associations. It’s time we closed the laundromat for good. Prem Sikka is Professor of Accounting at University of Sheffield and Emeritus Professor of Accounting at University of Essex. He is a Contributing Editor of Left Foot Forward and tweets here. Professor Sikka, Thank you for the latest in a long series of rigorous reports on this and similar ‘legalised’ criminality being perpetrated by the financial sector. Increasingly, I am convinced that the motivating force behind the Brexit campaign (which pretty successfully piggy backed on to a sincere sense of grievance amongst sections of the population, particularly in parts of England) was to ‘shield’ the City of London from the regulations about financial transactions such as those described here, which are soon to be implemented by the EU. This has been an attempted coup and although it is temporarily stalled, it is still possible that the desired ‘no deal’ will take place. Further, I think that this wealthy elite are not averse to social disorder on a substantial scale. I think that the fact that the Tommy Robinson march took place in London on the same day and at the same time as the ‘respectable’ Brexit march, was a clear signal about what might happen, if the power brokers are thwarted. Labour needs to have ready upon election proposals based on the thoughts of Prof Sikka and others to deal with the widespread mal-practice and illegality in the corporate world. HMRC, Fraud agencies, and the CPS needs to be given the resources to tackle the problems. However, just how much work is currently going on?